Click HERE to download a zipped file of Titan fluvial networks in ArcGIS format. Titan is the largest moon of Saturn. Tens times Earth's distance from the Sun, Titan has a bitter, cold landscape where rivers and lakes are filled not with water, but with liquid natural gas. Despite this, however, Titan bears surprising resemblance to Earth. For example, like Earth, it has a solid surface covered with a substantial atmosphere. And each of these atmospheres contains volatiles – methane on Titan, water on Earth. The Cassini-Huygens mission at Titan has returned data showing features indicative of a volatile cycle, including lakes and elongate, sinuous features broadly interpreted as fluvial in origin. Mapping and characterization of these fluvial features, supported by initial modeling, contributes to learning what they can tell us about volatile movement in Titan's atmosphere and subsurface, and to comparing their geomorphic effect with that of other processes operating on Titan's surface. Baker, V. R., C. Hamilton, D. M. Burr, V. Gulick, G. Komatsu, W. Luo, J.W. Rice, J.A.P. Rodriguez (2105) Fluvial geomorphology of Earth-like planetary surfaces: a review. Geomorphology, 245, 149-182, doi:10.1016/j.geomorph.2015.05.002. Burr, D. M., J. T. Perron, M. P. Lamb, R. P. Irwin, G. C. Collins, A. D. Howard, L. S. Sklar, J. M. Moore, M. Ádámkovics, V. R. Baker, S. A. Drummond*, and B. A. 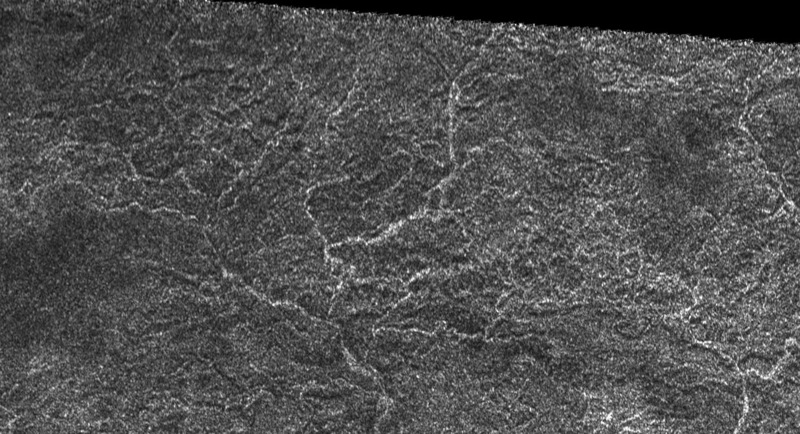 Black* (2013) Fluvial features on Titan: insights from morphology and modeling. Geol. Soc. Am. Bull., doi: 10.1130/B30612.1. Burr, D. M., S. A. Drummond*, R. Cartwright*, B .A. Black*, and J. T. Perron (2013) Morphology of fluvial networks on Titan: evidence for structural control. Icarus 226, 742-759 10.1016/j.icarus.2013.06.016. BlackGS, B. A., Perron, J. T., Burr, D. M., and Drummond*, S. A (2012) Estimating erosional exhumation on Titan from drainage network morphology. J. Geophys. Res., 117, E08006, 10.1029/2012JE004085. Burr, D. M., R. E. Jacobsen*, D. L. Roth*, C. B. Phillips, K. L. Mitchell, D. Viola* (2009) Fluvial network analysis on Titan: evidence for subsurface structures and west-to-east wind flow, southwestern Xanadu, Geophys. Res. Lett., 36, L22203, doi: 10.1029/2009GL040909. Barnes, J., J. Radebaugh, R. H. Brown, S.Wall, L. Soderblom, J. Lunine, D. Burr, C. Sotin, S. Le Mouelic, S. Rodriguez, B. J. Buratti, R. Clark, K. H. Baines, R. Jaumann, P.D. Nicholson, R. L. Kirk, R. Lopes, R. D. Lorenz, K. Mitchell, C.A. Wood, and the Cassini RADAR Team (2007) Near-Infrared Spectral Mapping of Titan's Mountains and Channels. J. Geophys. Res. 112 (E11) CiteID E11006, 10.1029/2007JE002932.